Welcome to the Mizuho OSI Customer Resource Center Service Support page. Mizuho OSI’s Service Support Department is designed to keep your equipment in fully functional operating order and to assist your efforts in equipment repair and troubleshooting. 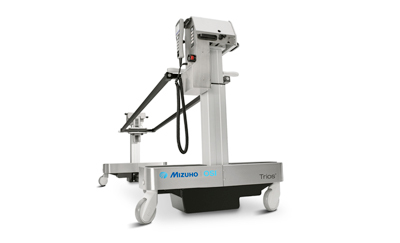 We specialize in parts, repair, and technical service for your Mizuho OSI operating room and traction equipment. Mizuho OSI guarantees all of its products for one full year from date of invoice for defects in material and workmanship with the exception of products which are obsolete, misused, altered, damaged, specialty, or custom made. Defective merchandise will be credited or replaced. Contact a Mizuho OSI Service Representative at 1 (800) 777-4674- Option 2, Monday through Friday, 5:00 AM- 5:00 PM PST. Please provide necessary information such as purchase order number, part number, quantity, date of purchase and reason for return. The RGA # must accompany the returned item(s) and be clearly marked on the outside of the shipping carton. Mizuho OSI requires a Certificate of Decontamination be completed and submitted for all returns or repairs. EXCLUSIONS INCLUDE: discontinued, disposable products, damaged or custom requests and products beyond the 30 day return policy. A minimum 20% restocking fee is applied to all returned merchandise. Contact a Mizuho OSI Technical Service Representative at 1 (800) 777-4674 – Option 2, available Monday through Friday, 5:00 AM – 5:00 PM PST. Please provide necessary information such as part number, date of purchase and reason for repair. Mizuho OSI reserves the right to determine the cost effectiveness of repair or replacement. the items(s) to be repaired and be clearly marked on the outside of the shipping carton. Mizuho OSI requires a Certificate of Decontamination to be completed and submitted for all returns or repairs.